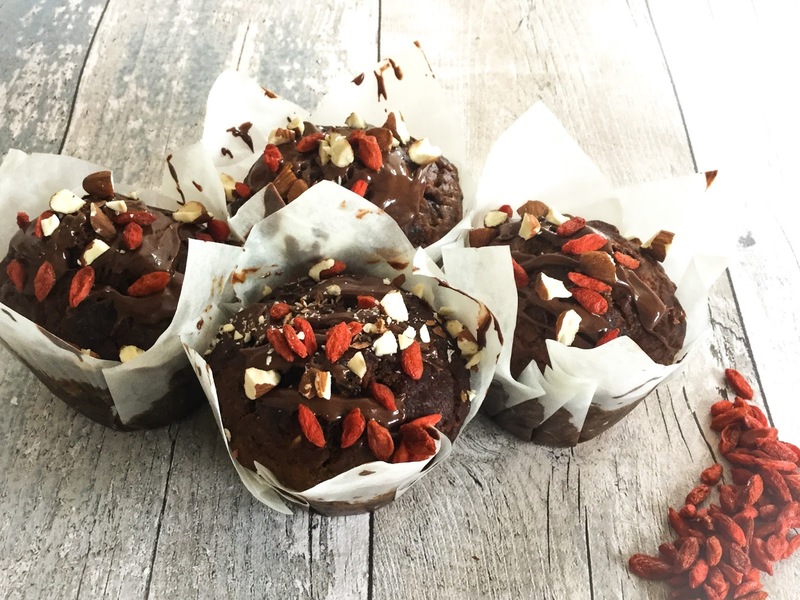 Perfect breakfast or sweet treat and a great alternative to your usual breakfast muffin as there is no refined sugar, only good fats and anti-oxidants from the goji berries as well as raw cacao almonds. – In a large mixing bowl whisk together the mashed banana, sugar, oil and milk. -add the flour and whisk until smoothie then stir in the chopped raw chocolate almonds and goji berries. -Spoon the batter into 4 large muffin cases and bake for 20mins. -Decorate with some raw ecstacy chocolate spread and goji berries or chopped almonds.